It’s a bit of a retro-40k week here on spalanz.com, after my look at Necromunda (albeit in its latest incarnation) earlier in the week. 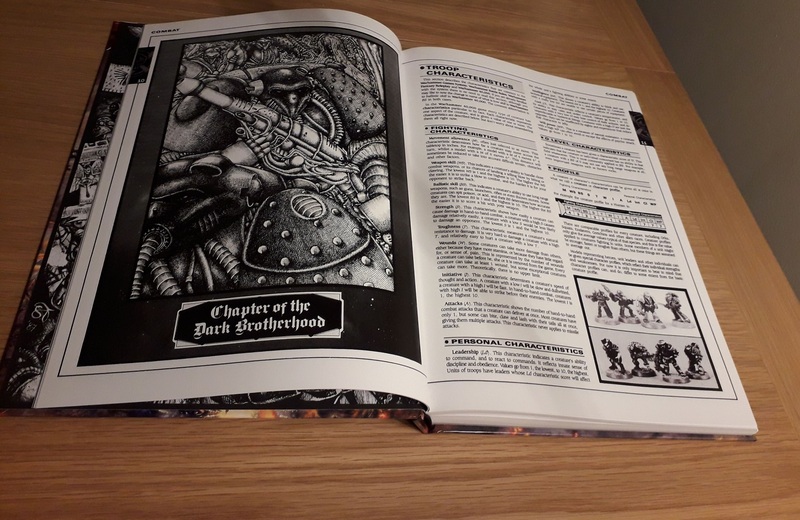 So I thought I’d stay on theme for this post and look at the original rules for Warhammer 40,000 from way back in 1987! 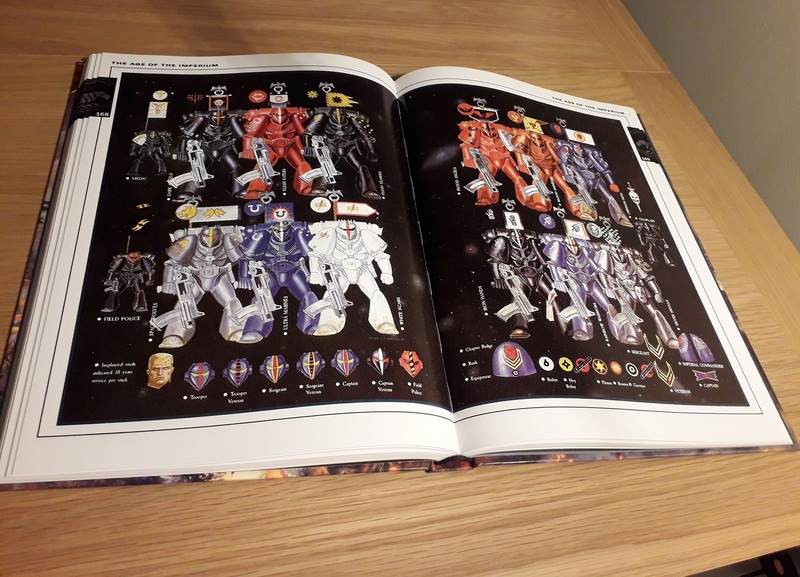 Last year, 40k turned 30, and there were of course a number of celebrations of that fact, including the new 8th edition, and of course a facsimile reproduction of the original 40k rulebook, Rogue Trader. 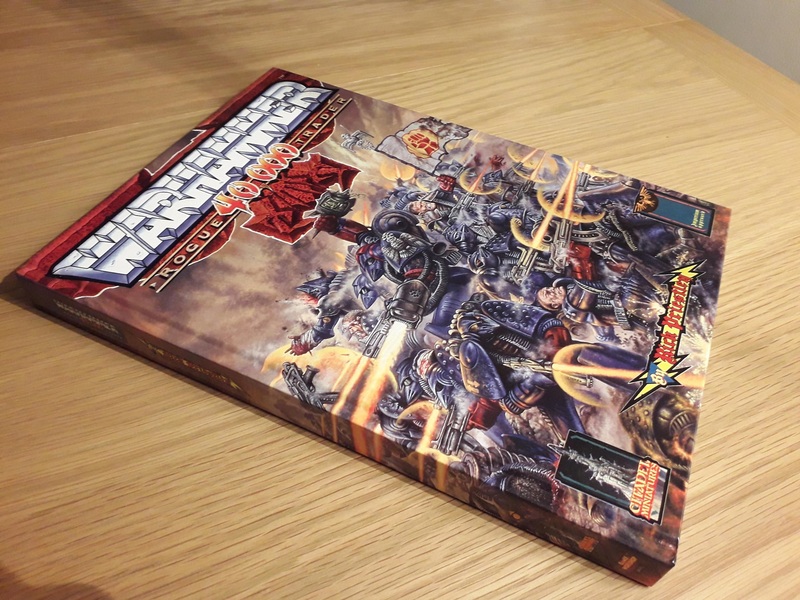 Sold exclusively at Warhammer World, the reproduction is pretty much entirely faithful to the original book, albeit with a revised publication history, and shows us latecomers to the game just where it all began. I’m not going to go over the rules in great detail here, but I just wanted to share some of my initial thoughts and reactions having been leafing through the book of late. 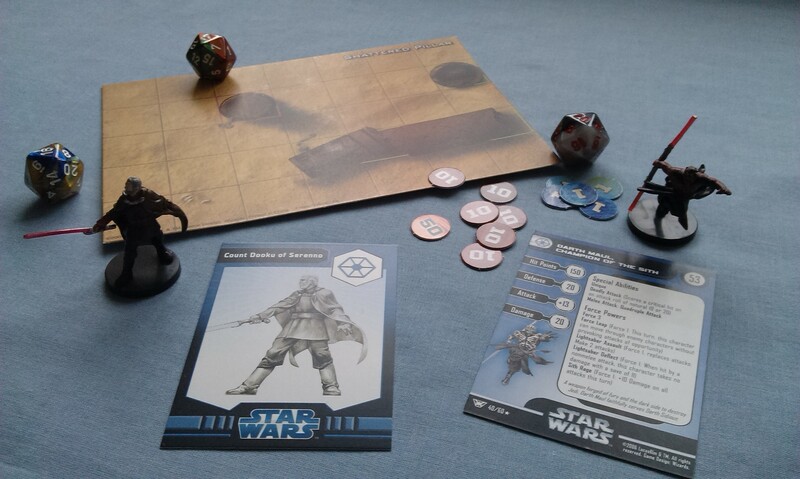 First of all, the book feels entirely too much like a Role Playing Game, rather than a tabletop wargame. 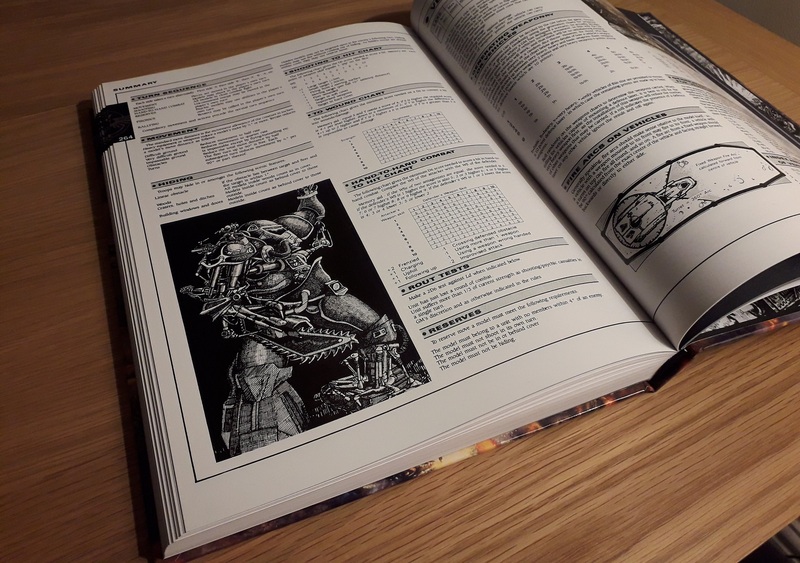 The black-and-white illustrations are highly evocative of the old Star Wars RPG from West End Games, and there are pages and pages of table of weapon stats that read a great deal like they’re for use in a RPG setting, in my view. There is a lot of lore in this book, as well, which again adds to the RPG feel. 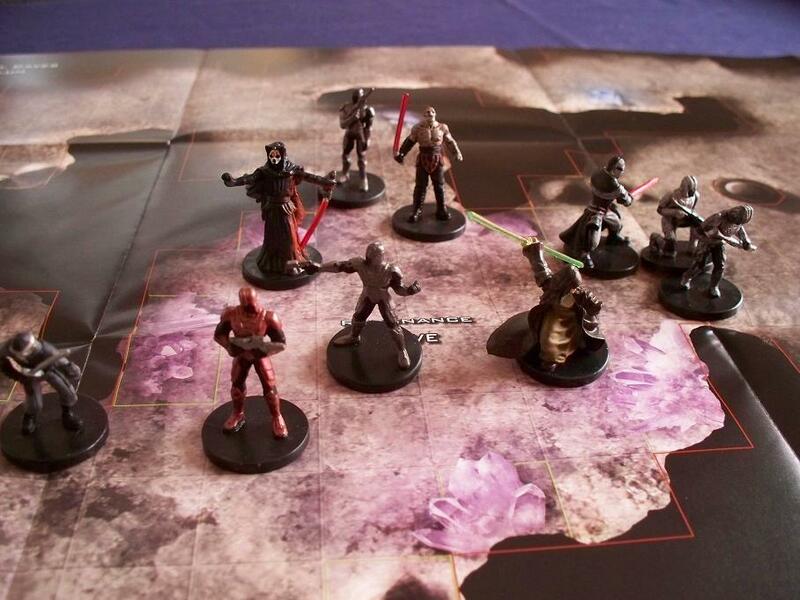 Unlike with the recent editions of the game, where the lore comes first, the book is organised with all the rules in the opening chapters. The Age of the Imperium chapter then goes into great detail over all manner of things, such as the Imperium’s organisation and structure, before travelling over other alien races such as the Tyranids, Eldar and Orks. Notably, Genestealers are a separate race to Tyranids, and of course, we get the classic Squats as basically Space Dwarves, and Slann as Space Lizardmen. We also get a whole bunch of rules for different plant and animal life with which we can pepper the game. There is a recommendation that games use a GM to keep track of all these myriad rules, which crops up in several parts of the book. There’s a nice little section on collecting miniatures, where the book recommends you plan your purchases before just buying lots and lots of shiny new toys – itself such a different tack from the current way of doing things! 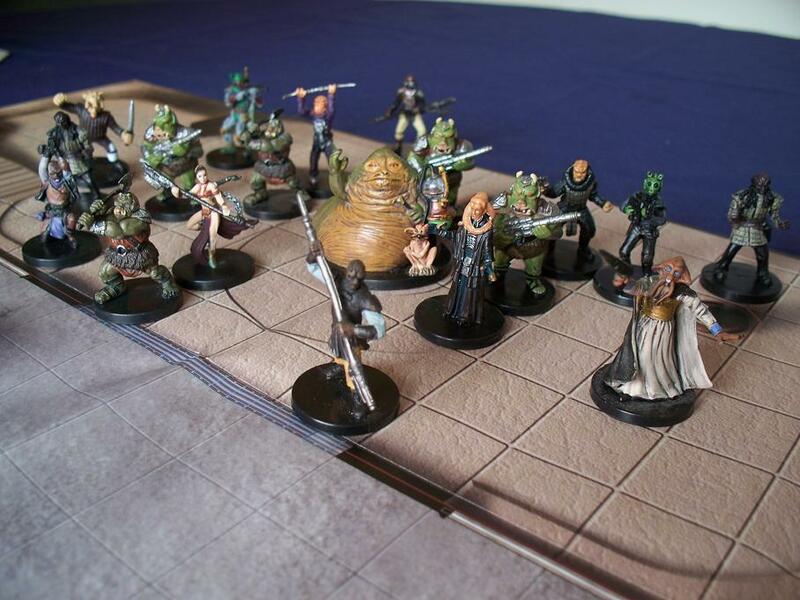 – and there is the suggestion that the GM will buy or convert all of the weird and wonderful NPC-like monsters and aliens that your armies can fight. Conversions seem to be actively encouraged, with whole sections talking about suitable materials with which you can scratch-build terrain and the like. Whereas one person may just see leftover plastic yoghurt cartons, Rick Priestley sees a control tower just needing assembly! 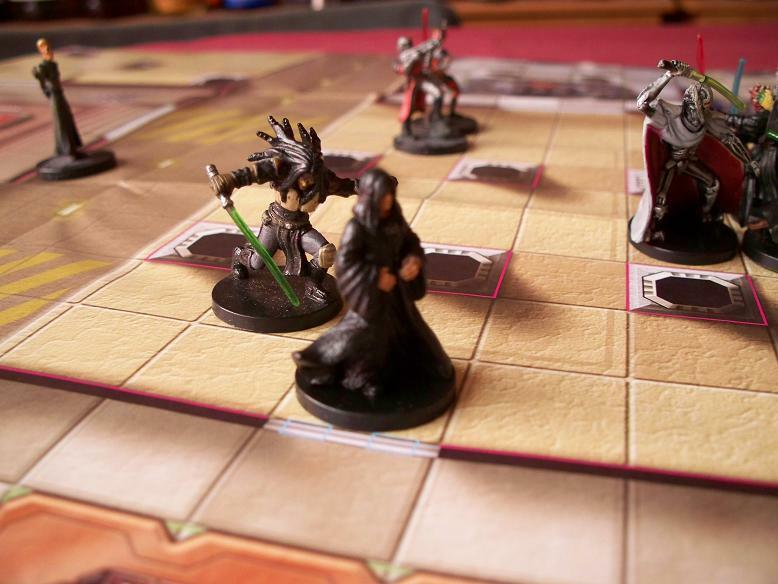 It’s all pretty fantastic, and feels just incredibly geared towards giving us the tools we need to really immerse ourselves in The Hobby as a whole. Of course, the lore is a bit different then to how it is now. Of course, we have the Space Marines as the defenders of mankind, all bedecked in (MkVI) beaky helmets, but no mention of the Horus Heresy or Chaos in general. The basic backbone is there, for sure, but there is a lot that is missing from the established storyline in this book. I said I wasn’t going to talk about the rules, but it is worth mentioning that the game otherwise feels quite similar to how it remains. The turn sequence is still move-shoot-melee, though there is a separate Reserves phase that follows melee combat, and the Psychic phase follows that, with the Rallying phase coming last (analogous to the Morale phase). There are, of course, the whole host of byzantine charts that explain how to wound in close combat, etc, and vehicle firing arcs are gloriously a thing in this edition. I do miss that – it feels a bit weird that a vehicle, whose guns are modeled pointing away from the action, can still be a part of things. But I guess it does allow for speedier gameplay. Overall, I love the look of this book. It reminds me so much of the old Star Wars RPG, as I’ve said, but on closer inspection, it has so much in common with British comics of the era such as 2000AD. I’m not 100% sure, but I think my brother may have actually had this book when we were growing up. If he didn’t, then it was certainly something very much like it. It harkens back to a time when gaming like this was very much the province of the nerd squad, and so they could be as complicated as you liked, because nothing had to have mass-market appeal. Does that sound elitist? Probably. But I do find myself resenting, at times, how simplistic some games have become nowadays, and how generic fantasy and sci-fi often gets, in order to appeal to the larger market. But I guess that’s a discussion for another time. Did you used to play with 40k in the Rogue Trader era? Have any fond memories of those days? Leave a comment, and let’s talk about it!! Can you believe it’s been four years since I started this little adventure? 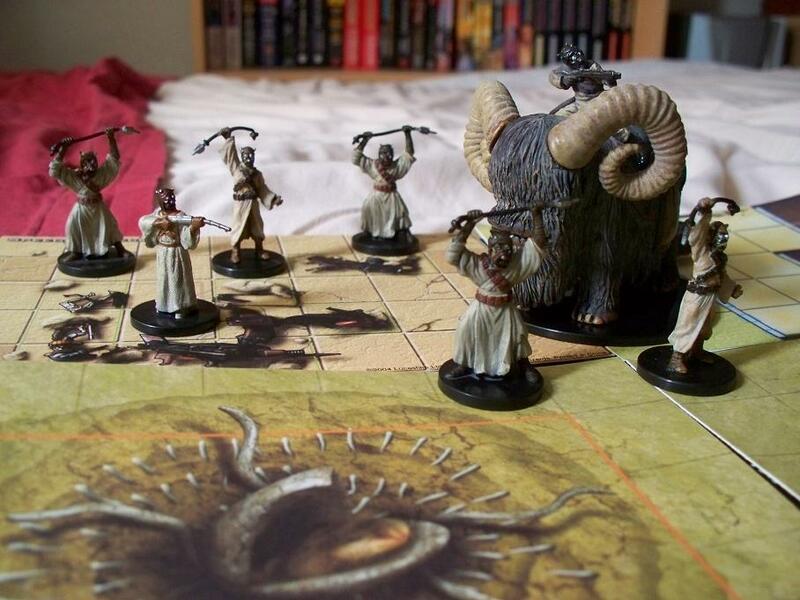 Well, if you’re a long-time reader of this blog, you’re not only extremely classy, but you probably can… It all started because of Shadows of Brimstone, that kickstarter from Flying Frog Productions that I backed massively, only to find out in the months following the end of the campaign that the miniatures would require assembly. To practice, I therefore bought a Beast of Nurgle from Games Workshop, having been aware of their products for a number of years thanks to the card game Warhammer: Invasion, and the rest, as they say, is history. As a side note, I should really look at doing a blog devoted to that game. I know it’s long-dead, but it was one of my all-time favourites, so definitely deserves some love here on the blog! While I was initially really heavily into the Old World, due in part to the fact that I was so familiar with the card game, I think the negative reactions I was exposed to following the End Times series really started me moving away from the fantasy setting, and instead looking into the 40k stuff. While I felt like I had a decent grounding, between the card game and Warhammer Fantasy Roleplay, I was really flying blind when it came to the grim dark of the far future, but threw myself into the lore of the Necrons, having discovered the Lychguard kit (as has been mentioned on this blog before, of course!) I suppose, to some extent, it was only natural that I would gravitate towards those chaps, seeing as how I was a huge Tomb Kings fan. It was a real heartache when I recently decided to sell my stock of TKs, having been so assiduous in gathering up as many of the kits as I could when they went Last Chance to Buy. But that’s beside the point. Of course, since then I’ve managed to build up an extremely large Dark Eldar army, as well as having started to build a number of big bugs, too! Recently, I’ve embarked on repainting my Necron force, as it was my first army (and you can tell), though I’ve not yet managed to get very far. Always something to distract me! It’s really been 40k that has been a driving force behind my passion and enthusiasm for this hobby, despite dipping my toe into fantasy every once in a while. 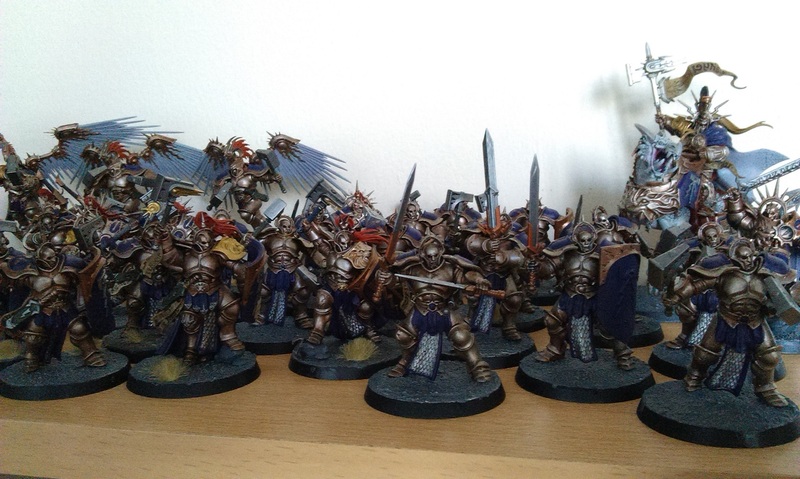 I have very fond memories of the launch of Age of Sigmar, and while I’ve bought and sold more fantasy armies than I care to remember, I think I’m definitely keeping hold of my Stormcast Eternals for the fact that I enjoyed assembling that force so much. 40k has been huge for me since then, and I honestly can’t ever see myself moving away from it. Whether it’s through the tabletop game itself, or any of the specialist games like Deathwatch Overkill or Necromunda – or even keeping some of the FFG games alive such as Conquest or, the classic, Space Hulk Death Angel – I can see myself forever staying with the grim dark of the far future, and look forward to sharing that with as many people as possible. It’s definitely been an exciting four years, and there has been so much that I’ve enjoyed. 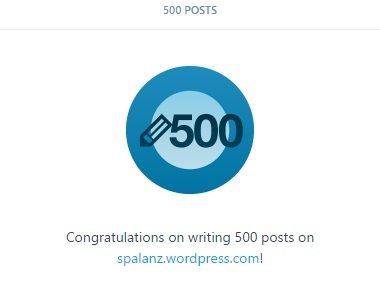 While this blog started life as a sort of general nerdy thing with a lot of variety (at least, I think it did! ), I’ve been very conscious of the fact that it has now become very focused on Warhammer, with Magic and Star Wars being a bit of a sideline. And this is because I basically love the Warhammer 40k universe now! I had a bit of a realisation a week or so ago, as I was laboriously reading through the latest new canon Star Wars novel Last Shot, that I don’t actually enjoy the new Star Wars as much as I enjoyed the franchise back before 2015. I don’t mean to turn this into some kind of Warhammer 40k vs Star Wars debate, but let’s leave it at I’m enjoying the former an awful lot more than the latter, right now! And I suppose that’s partly due to the interactive nature of Warhammer 40k for me. 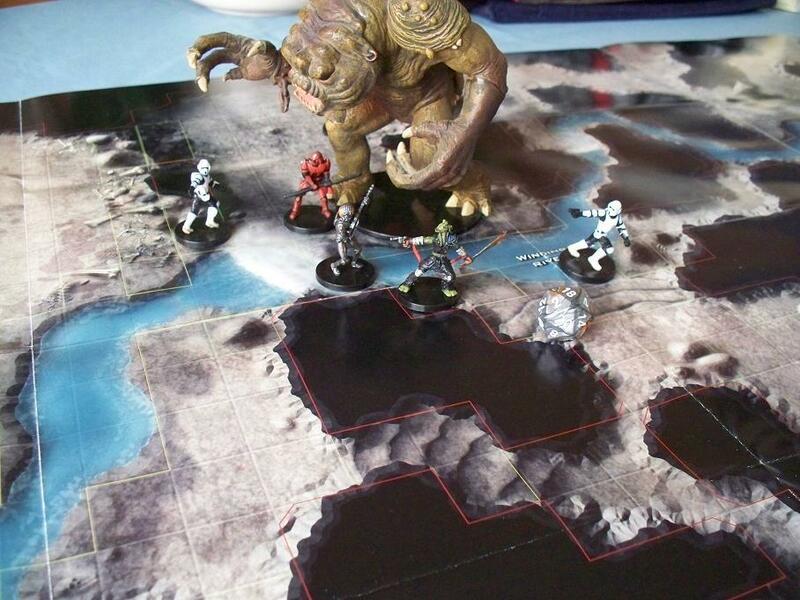 There hasn’t really been a stand-out Star Wars game since WotC produced Star Wars miniatures, whereas there’s a whole hobby-gaming side to 40k that makes it a great deal more immersive. I’d like to think that I’ve improved a great deal as a painter in the last four years – certainly, I’m more willing to show off my Drukhari, my Genestealer Cult, or my Thokt Necrons before bringing out that Beast of Nurgle – though there is always room for improvement. I’m still quite a lazy painter, something I’ve noticed when painting some Van Saar gangers recently. I rely a lot on drybrushing, while not always taking the time to drybrush properly. More models than I care to remember are quite streaky as a result! But I do feel a lot happier with my miniatures that I’m painting now, than I have done with the older lot. One of the reasons why I’m intending to re-do my entire Necron army, actually! I also want to play more games! Who doesn’t, I guess? But with Kill Team a thing now, the ability to have a lot of small games should make things easier. I’m keen to try my hand at Necromunda, having kitted out the Van Saars to be a proper gang and ready for the skirmish there, though I’m not sure if it’s that popular at my store… Skirmish games are fine, of course, but I also want to try and be a bit more serious with my efforts in mainstream 40k. I’ve got three big armies now as far as my Drukhari, Necrons (if I include the old ones that need re-doing), and T’au, along with a lot of smaller forces (with a lot of unbuilt kits that will one day make them bigger forces), so it would be a shame to not make the most of that and actually do something with them! All this talk of Necromunda and Genestealer Cults brings me to something that I find a bit odd, but let’s talk about it anyway. I’ve not been in the hobby that long, and I’ve especially not been within the 40k universe that long, but there’s a weird kind of borrowed-nostalgia that I get from these re-imagining of classic aspects of the 40k universe. I suppose I get swept up in the moment, and find it all quite wonderful, though it could just be down to the fact that the miniatures are obviously designed with such care and attention to detail that I find myself really enamoured with them, despite not having a basis for any kind of nostalgia-response. It also helps that Necromunda, in particular, just looks like such a cool, immersive game that I can’t help but be swept up within the tidal wave of awesome that it is! Rogue Trader is obviously coming out at Christmastime, and also promises to be every fanboy’s dream – including mine! I’m going to have to do some serious negotiation to get that under the tree for Christmas, but it looks like it will be so damn worth it! Space Wolves vs Genestealer Cult? Who saw that one coming?! Just another little tangent there! I did say this would be rambling! While I like the thought of Tyranids and having a big bugs army, I’m also moving back towards my Drukhari, having lost interest a little when I felt the Codex had tried to force me to play a mixed list. However, I think I’m most excited right now for the Militarum Tempestus army that I’ve been wanting to build for a number of years now. To date, I’ve still only painted two models for them. However, this is where the joy of Kill Team comes in, as I’ve excitedly been writing up a list that I think will make it relatively easy to get done, at which point I might as well just carry on and paint up a platoon! Oh, I make it sound so easy. But I think, if I can get some of these done, and some more Skitarii painted by the end of the year, I’ll be a very happy bunny, indeed. So, thanks for reading all the way through this extremely rambling blog post about my jumbled thoughts on 40k right now, as well as something of a potted history of my life with the game, and stay tuned to the blog as I begin to delve more seriously into Kill Team campaigns – and, of course, Necromunda! 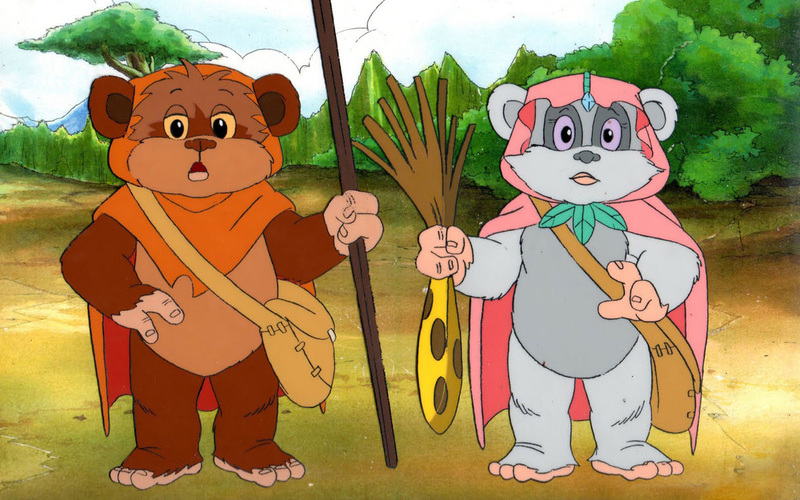 Back in September 1985, the Ewoks cartoon began, and it was a glorious time to be a child! Of course, I was a bit young at the time – I wasn’t yet one year old – but this cartoon was so much a part of my childhood that I couldn’t help celebrate it as my 500th blog! First of all, I only really liked the first series of 13 episodes, so I’ll only be rambling incoherently on them. The feel of the cartoon is much more, I dunno, cartoony than the second season, and it has that amazing bluesy theme song! There are a number of threats that the Ewoks have to overcome over the course of the series, primarily their cousins the Duloks, but also the more serious threat of Morag, the Tulgah Witch. The Duloks are a little silly at times, especially the O and X-marked pair, but this is pitched at little children, after all! If I’m honest, I don’t even find their capering all that goofy anymore, as it’s just all so nostalgic! 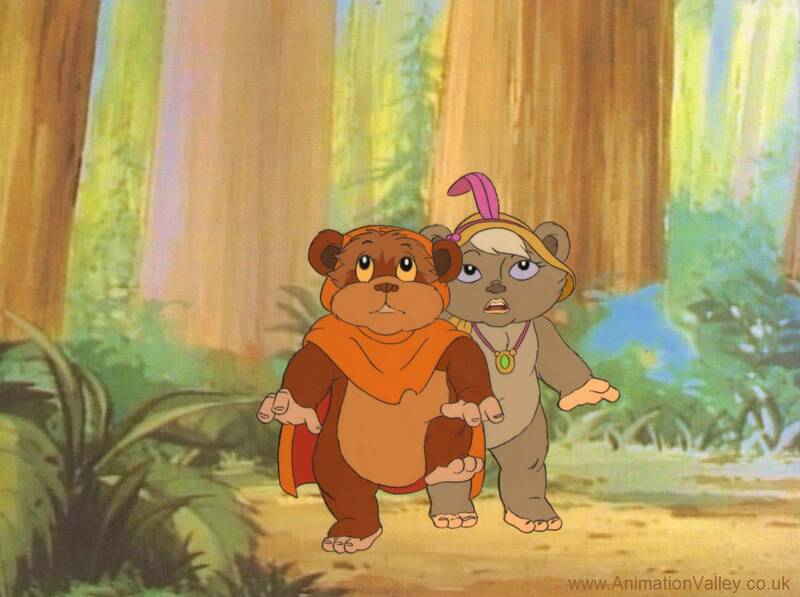 One of my favourite of the kind of story arcs in the season involves the travelling Jindas, who travel throughout Endor performing for the various inhabitants of the forest. I always had a soft spot for Latara, and as the episode kinda focused more on her, I suppose it was inevitable that I would like this episode best! When I was little, I had recorded some of the episodes off the TV, but I was eternally sad that the VHS tape had run out before the end of The Curse of the Jindas, and from about the age of 5 or 6 until about three years ago, I had no idea how it actually ended! It clearly didn’t bother me too much as I hadn’t thought to look it up online, but still! When I rewatched the series after scouring youtube during 2013, I was instantly transported back to my childhood, and so many wonderful memories of watching (and re-watching) these episodes came flooding back, it really was great! The episode Sunstar vs Shadowstone was another all-time favourite – while having a soft spot for Latara, Teebo was my favourite, as I felt something of a kinship for his goofy attempts to fit in and impress the others. Well, anyway! The cartoon is an amazing nostalgia trip, and is definitely worth checking out – not just for Star Wars fans, but I do feel it still holds up as a cartoon for kids of all ages! 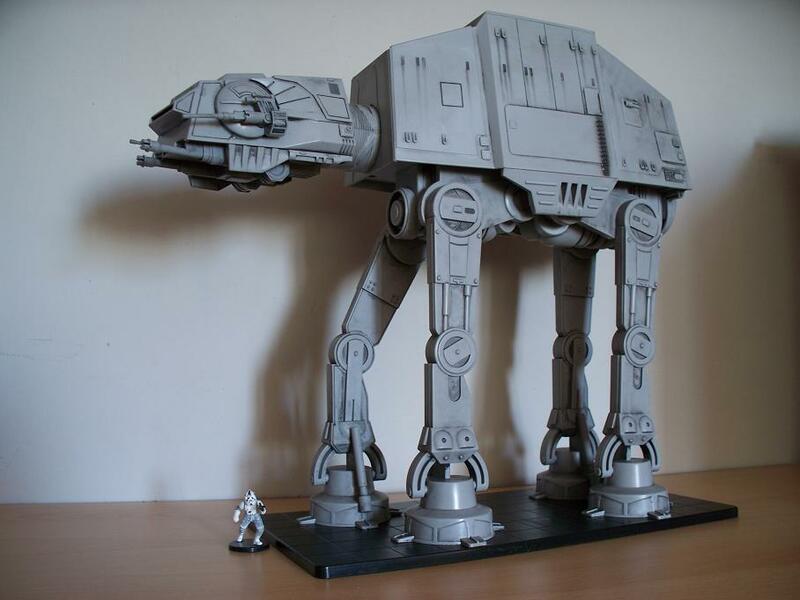 Author spalanzPosted on August 6, 2016 August 6, 2016 Categories nostalgia, Star WarsTags cartoons, Ewoks, nostalgia, Star Wars1 Comment on Ewoks! It’s time for some more Saturday morning cartoon nostalgia! Back in the late 1980s, Columbia made a cartoon series based on the original film that ran to 140 episodes across two seasons, which always sounds a huge amount, but then something like He-Man had roughly the same number, so I guess it was something of a standard. As a fun fact, the cartoon was called “The Real Ghostbusters” because of a dispute with Filmation, the company behind He-Man, Brave Starr, and many others – Columbia actually had to license the name for the film in 1984, and it led to the storyline of the first episode (shown in the youtube video above) that shows a rival group of ghost hunters trying to steal the work of Egon, Ray, Peter and Winston. As much as I love the franchise, I have to say, I’ve never really found the same kind of love for the cartoon as I have for the film(s), even given my previously-mentioned toy obsession, the toys of course being directly made from the cartoon and not the movie. The cartoons are pretty goofy to watch them today, and while I’m a great apologist for a lot of this sort of stuff (check out my Ring Raiders, D&D and Visionaries blogs in this category!) I just can’t bring myself to watch these things without cringing a little! I mean, Slimer is the Ghostbusters’ pet, for heaven’s sake!! Author spalanzPosted on April 23, 2016 April 23, 2016 Categories nostalgiaTags Birthday Week, cartoons, Ghostbusters, nostalgiaLeave a comment on The Real Ghostbusters! Birthday Week Game Day Extra! 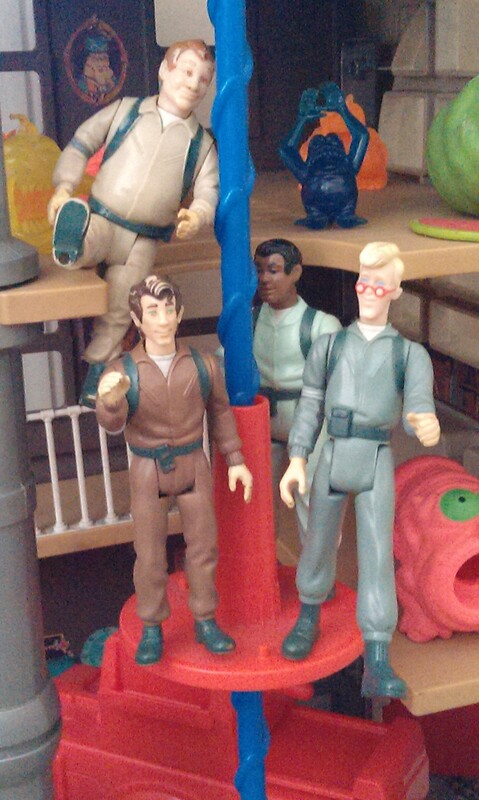 It’s birthday week here on spalanz.com, and time for a bit of game day extra, as I take a look at some more nostalgia from my childhood: The Real Ghostbusters: The Game! Oh, this one’s hilarious! Dating from 1989, the game is a tie-in to the cartoon series of the same name (more on that tomorrow!) 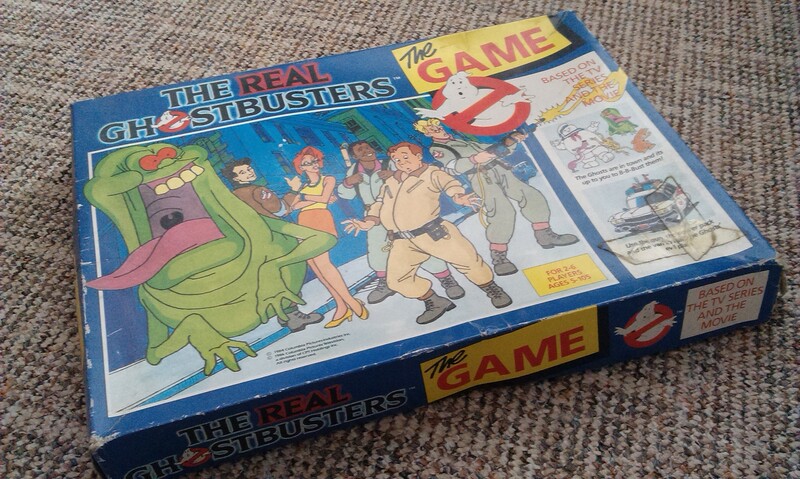 You play one of the four Ghostbusters, or Janine or Slimer, and travel around the board trying to trap ghosts – once all the ghosts are trapped, the winner is the person who had the most. Along the way, there are mechanics for player interaction where you can attempt to “spook” your opponents – basically by playing rock/paper/scissors – to take their kit cards. Without all three pieces of kit (proton pack, proton gun, trap), you can’t trap ghosts and so cannot win the game. When you come to trap ghosts, the “bust-o-meter” is spun to determine the strength of your stream: if it’s higher than the ghost’s slime value (listed on the side of the board), you trap it. That’s pretty much all there is to it, though Action cards do allow you to interact with the game a little more, such as moving to ghosts to trap them etc. 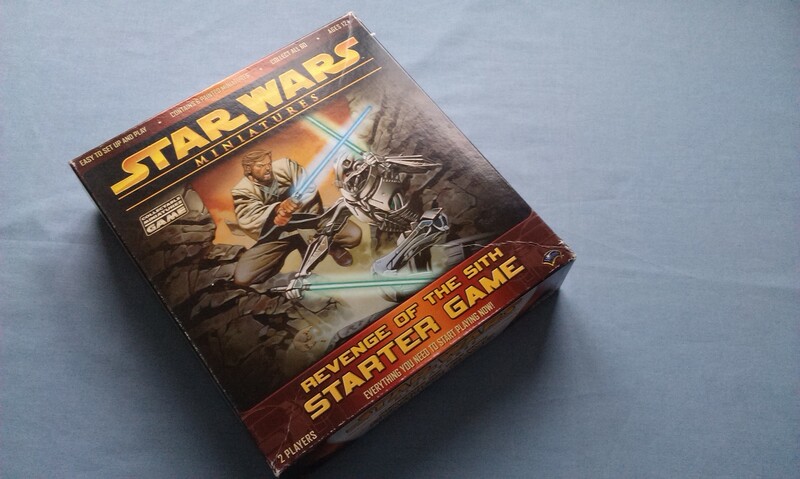 I had this game from new, and seem to remember trying to get my brother to play it with me back in the day. I found it in the attic when I moved a few years ago, along with another awesome retro game that will be featured here no doubt eventually, and convinced my regular gaming buddy Tony to play, but it didn’t really stand up to the test of time. Something I wasn’t all that impressed by was just how easy it is to knock somebody out of the game entirely, by winning just one round of rock/paper/scissors. Given your ability in the game is based entirely on something so arbitrary is just bizarre, I thought – it feels more luck-based than any kind of dice game, somehow! Maybe I’m just not good at rock/paper/scissors, though? At any rate, it was fun to revisit the past, but I can’t say I’d recommend hunting down a copy on ebay anytime soon! Author spalanzPosted on April 22, 2016 April 22, 2016 Categories board games, nostalgiaTags Birthday Week, board games, game day extra, Ghostbusters, nostalgia, retro gamesLeave a comment on Birthday Week Game Day Extra! Aw, yeah! You love it! 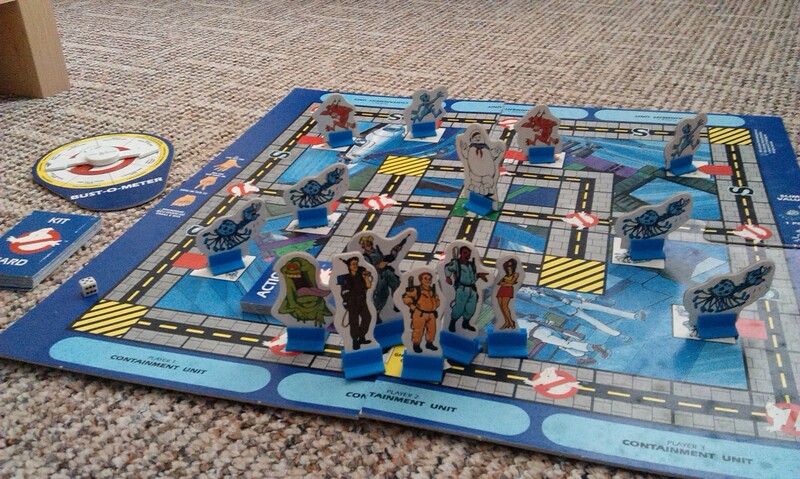 It’s birthday week here at spalanz.com, and I’m reliving another of my all-time favourite franchises: Ghostbusters! 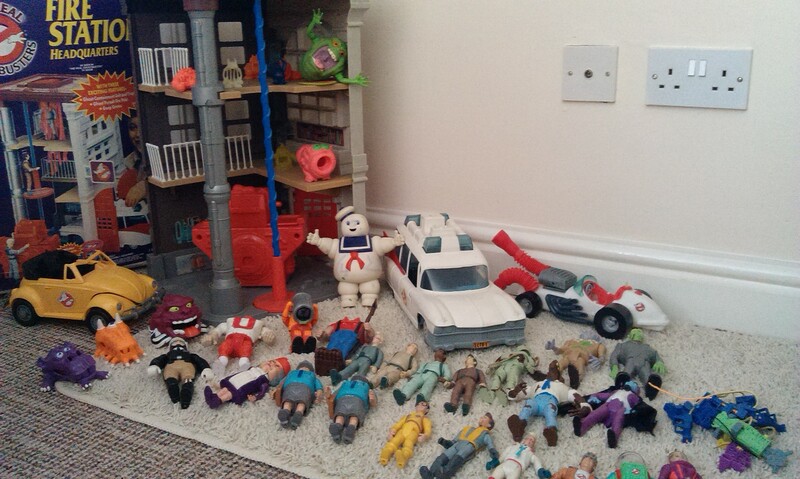 I’m almost as old as the original film, which is a bit of trivia that is partly meaningless, but grew up surrounded by it thanks to the sequel coming out at a time when all I wanted was to have lots and lots of toys. And my god, did this franchise deliver on that front! I love the first Ghostbusters movie, largely because, as a kid, I loved Slimer and thought he was the best. Not entirely sure why, but I just remember this as being a fact. I somehow never really registered this film as a comedy back in the day, I just remember all of the awesome action scenes as being amazing, and the “Saving the Day” sequence always used to excite me like nothing you’d know. I’m often surprised when I re-watch movies that were a big part of my childhood, as I find it hard to date them, as the quality or whatever is deeply ingrained so I gloss over any imperfections, much like I still don’t see Jabba the Hutt as a puppet. However, the special effects in this movie, considering it’s almost 32 years old, are still pretty great when you watch it now. Sure, some bits might be clunky, but that sequence with the paranormal energy zooming over the New York cityscape? Forget about it, that is just cinema at its finest! The second film came out five years later, (a move that parallels Indiana Jones 2 and 3, just thought I’d point that out), and seemed somehow more subdued than the first one. While Gozer the Gozerian (still makes me laugh) is out to destroy the world, and would be a very serious threat if its chosen form hadn’t been a huge marshmallow, Vigo the Carpathian spends almost all of the film stuck in a painting, and barely manifests as a real person before his defeat. There’s a greater element of supernatural terror that comes from this, but I don’t know, it just doesn’t feel quite the same, I guess. The story still manages to have some wonderful moments – I love all the underground stuff, as I’m semi-fascinated with stuff like the history of disused underground systems like that. 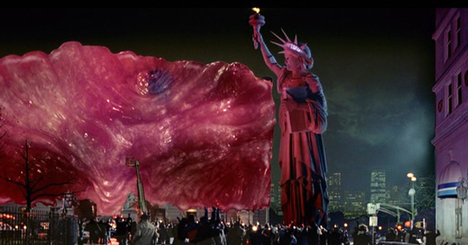 The walking Statue of Liberty is also a fantastic sequence that I find really exciting in the course of the movie. A lot of movie sequels are bad attempts to cash-in on the success of the first, but this one is definitely not that! I love these films immeasurably, as they’re just enjoyable action adventure stories with a whole ton of comedy, not to mention the enormous nostalgia factor. That’s pretty much the entire substance of this blog, anyway, and makes me realise I don’t really have a point that I’m trying to make here. Author spalanzPosted on April 20, 2016 April 23, 2016 Categories nostalgia, other stuffTags Birthday Week, Ghostbusters, movies, nostalgia, retro, toys2 Comments on Ghostbusters!